Industrial infrastructures like power plants, oil & gas pipelines, and water treatment facilities are vulnerable to attacks, and it isn’t that difficult to get access to the operational technology that powers these control systems. That’s why Indegy provides an end-to-end industry-leading security to make sure the infrastructure systems that we are reliant on are protected. The award-winning platform provides unparalleled insight and access to all the inner workings and changes made to any control system in real-time. It also provides a comprehensive audit trail that tracks all changes to industrial devices— including specifics like who made the changes and when. 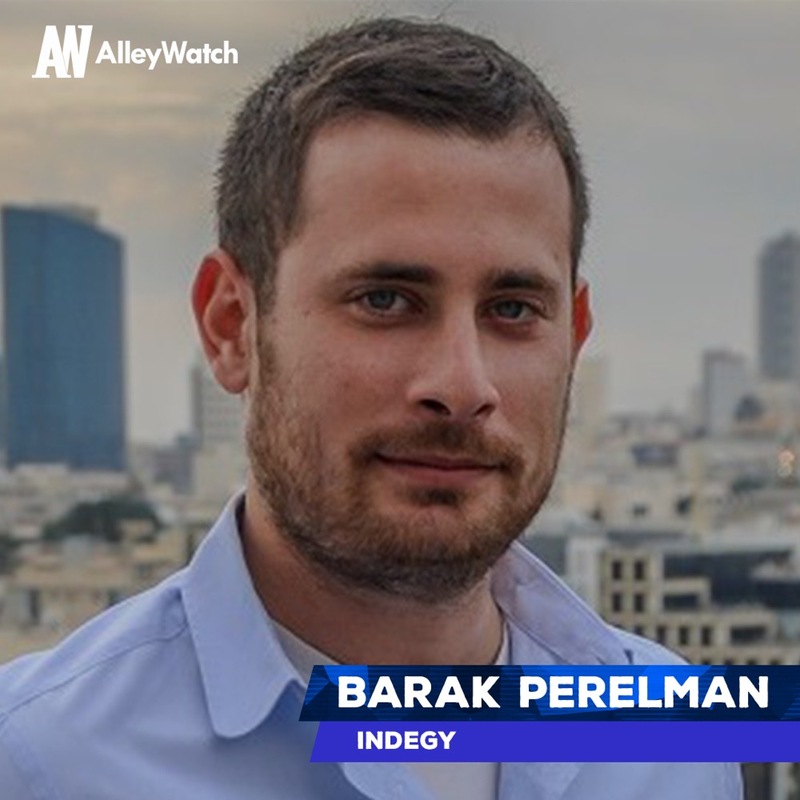 AlleyWatch sat down with CEO Barak Perelman to discuss the importance of security for operational technology (OT) and Indegy’s latest round of funding, which brings the total funding amount raised to $36M over three rounds. We raised an $18M Series B round of financing led by Liberty Technology Venture Capital, a subsidiary of Liberty Media, along with participation from international energy and services firm Centrica, O.G. Tech Ventures and existing investors Shlomo Kramer, Magma Venture Partners, Vertex Ventures and Aspect Ventures. Tell us about the product or service that Indegy offers. Indegy is a leader in industrial cyber security that protects industrial control systems (ICS) from cyber threats, malicious insiders and human error. Indegy arms security and operations teams with full visibility, security and control into ICS activity and threats by combining hybrid, policy-based monitoring and network anomaly detection with active device integrity checks. 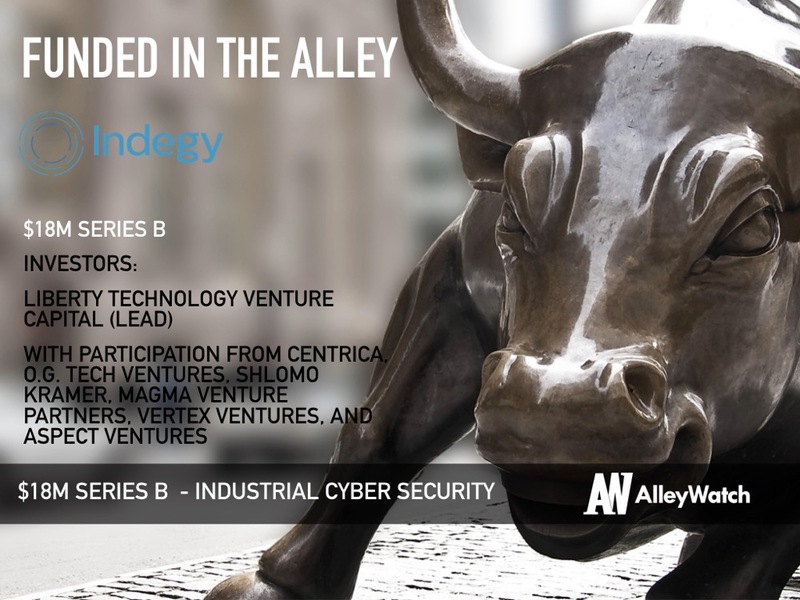 The Indegy Industrial Cyber Security Suite is deployed by manufacturing, critical infrastructure, and other industrial organizations around the world. What inspired you to start Indegy? Industrial networks, which are sometimes call operational technology (OT) networks, are the backbone of our critical infrastructure – including power plants, oil & gas pipelines, water treatment facilities and more. Unlike IT environments, they lack the defense mechanisms needed to guard against threats that are becoming increasingly common place in these networks. Consequently, anyone that gains access to the OT environment such as an employee, a contractor, or a hacker, can make changes to the devices that control industrial processes. We started Indegy to help protect industrial organizations and critical infrastructure in energy, utilities, water and industrial networks from this new generation of cyber threats. In your estimation, what percentage of industrial control system networks are not properly secured presently in the US? There is no doubt that with the amount of press lately regarding industrial cyber threats, warnings being issued at the federal level and documented security breaches, the number of ICS networks that are not properly secured is higher than originally estimated. In a poll conducted by Indegy Labs in April, 60 percent of executives at critical infrastructure operators said they lack appropriate controls to protect their environments from security threats. 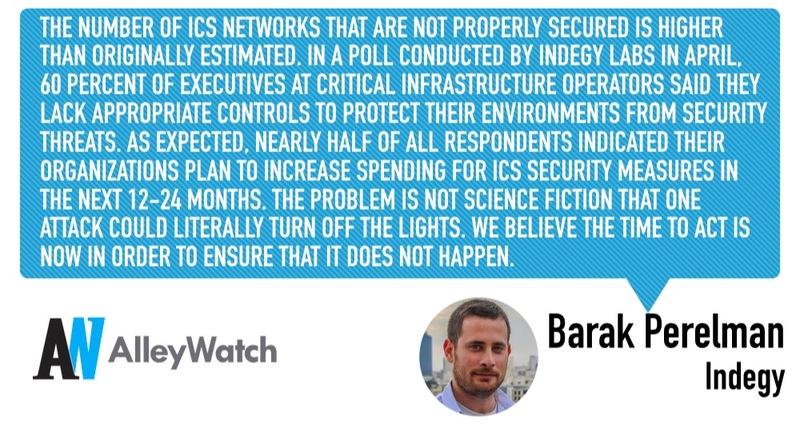 As expected, nearly half of all respondents indicated their organizations plan to increase spending for ICS security measures in the next 12-24 months. The problem is not science fiction that one attack could literally turn off the lights. We believe the time to act is now in order to ensure that it does not happen. Indegy has developed the only solution that provides end-to-end security, visibility, and control that spans both the industrial network and operations performed on individual devices. Indegy’s patent pending solution actively queries devices in their native language for their configurations, code, and state. These device integrity checks also detect local changes made to devices and provide comprehensive alerts, so security personnel can quickly understand the nature of the problem. Indegy identifies more threats faster by combining behavioral anomalies with policy-based rules. Anomaly detection correlates network baseline patterns and identifies anomalies. Our Asset Tracking capability discovers all devices on the network including dormant assets, which is not possible with network-only solutions. Meanwhile, configuration control validates the changes made locally and/or over the network. Indegy’s platform provides a comprehensive audit trail of all changes to industrial devices, who made them and when. It captures access and changes to critical controllers, whether made over the network or by physically connecting devices (via serial cable or USB drive). What market does Indegy target and how big is it? The funding process was streamlined and straightforward. When you are able to connect with the right investors who believe in the market and strategic direction of your company – everything else falls into place. After we chose our lead financial investor, we focused on finding additional strategic investors who have strong connections to our specific market, such as international energy firm Centrica. The biggest challenge is that there are so many good investors. Choosing the right partners and structuring the investment are the biggest challenges. All potential investors conduct deep due diligence. What drove our investors to write the check was a combination of the challenges we solve, the market need, the technology we have developed to do it and the team that is making it happen. Now that we have offices in US and Western Europe, we will continue to extend our footprint in the EU and Asia Pacific. We will continue to grow and establish Indegy as the leading ICS Security brand worldwide. Having money to spend is easy. Charting the optimal course and investing in the right approach, the right technology, and the right marketing mix is the tougher part. The advice is to spend every dollar like it is coming out of your own pocket. Track every dollar like it is your last. If you have good people and an exciting market opportunity – nobody will care about the typical “Silicon Valley” perks, fancy offices, or live concert tickets. We have two primary objectives at the moment. Educating the Market – the threats we are seeing are new and constantly evolving. While many organizations are accustomed to dealing with IT threats, they know very little about the OT threat. Rising above the noise – The cybersecurity industry is filled with companies claiming they solve problems that they really can’t. Our job to convince prospects we have the most effective and reliable way to protect their OT networks. This is New York! It’s impossible to only choose one!